Games and activities featuring everyone's favorite construction toy! If you're a great Lego builder, or a first timer, this is the place for you. Open to anyone interested, there is no need to sign up. 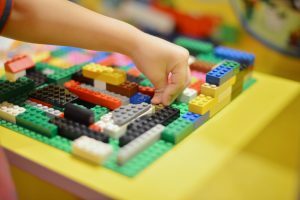 This will give children the opportunity to get creative and build anything they choose, working on their own creations or building as a team. The library will provide the Legos, while the kids provide the imagination! Open to all ages Kindergarten and above. Do you have a box or bin of old LEGO pieces in your attic or garage long abandoned by your children or grandchildren? Donate them to the library for children to enjoy!